Wooooo hooooooo!!!! I am officially in Barcelona right now! 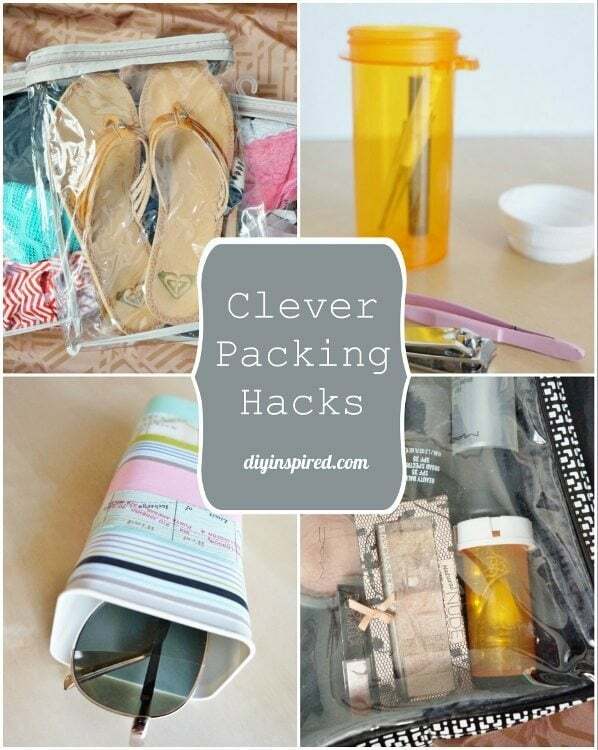 When I started packing for this trip, I realized that I have a few things that I have repurposed into clever and thrifty suitcase packing hacks and I thought I’d share it today. More on my trip later! 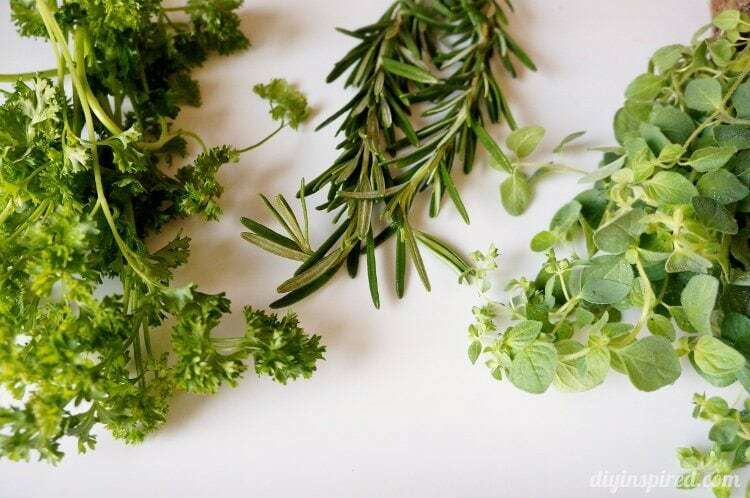 Here are some tips! 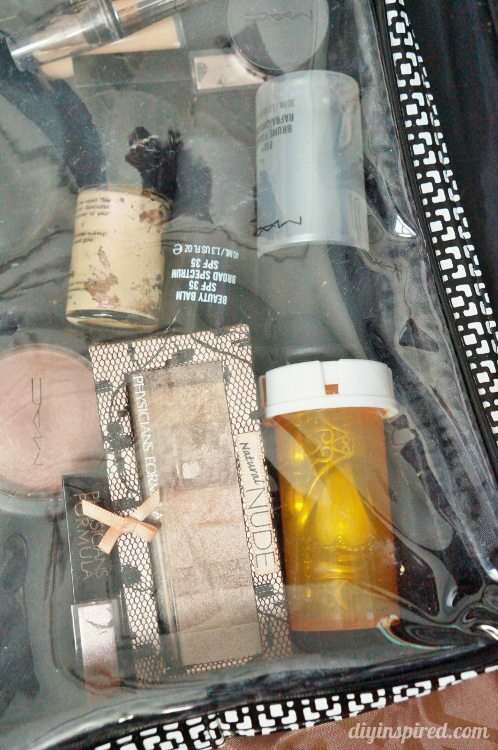 Pack small jewelry like rings and earrings in prescription bottles. 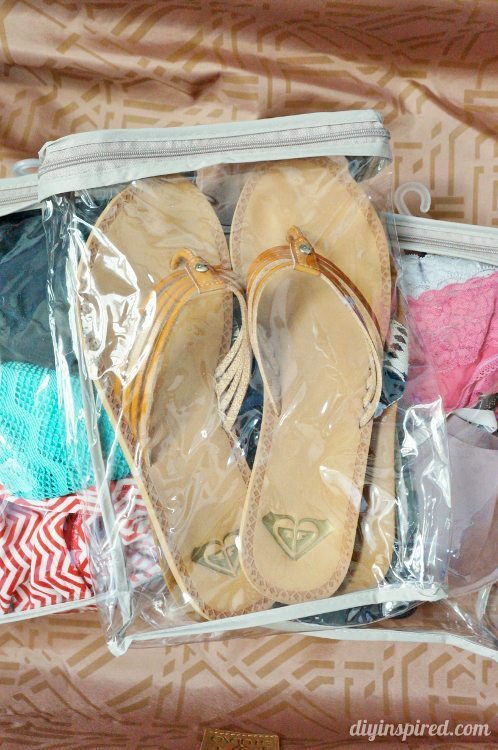 Reuse a plastic curtain panel bag and store your sandals, socks underwear, bras, or bathing suites in them. 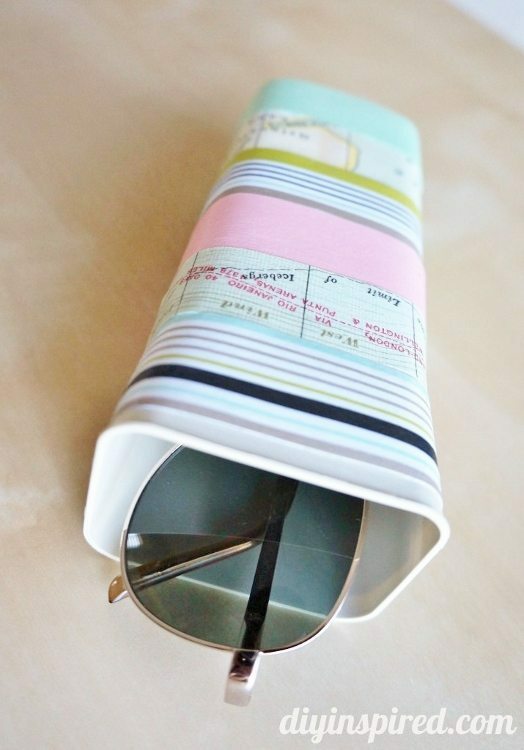 Store sunglasses in a plastic drink container. Place sun glass cases and belts in canvas shoe bags. Turn a bank money bag or other canvas bag into a laundry bag. 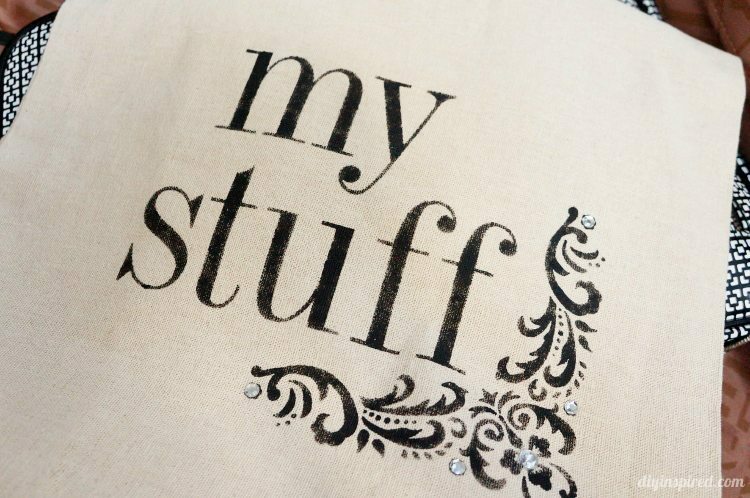 Get crafty and stencil it! Ideas for repurposing prescription bottles are endless! Store Q-tips, small grooming tools, or headphones inside prescription bottles. 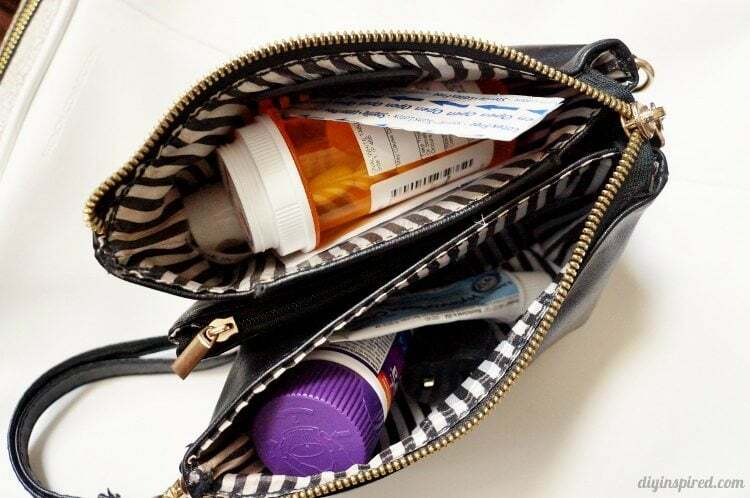 Grab an old purse and pack emergency items like bandages, allergy medicine, aspirin, itching cream, and insect repellent. 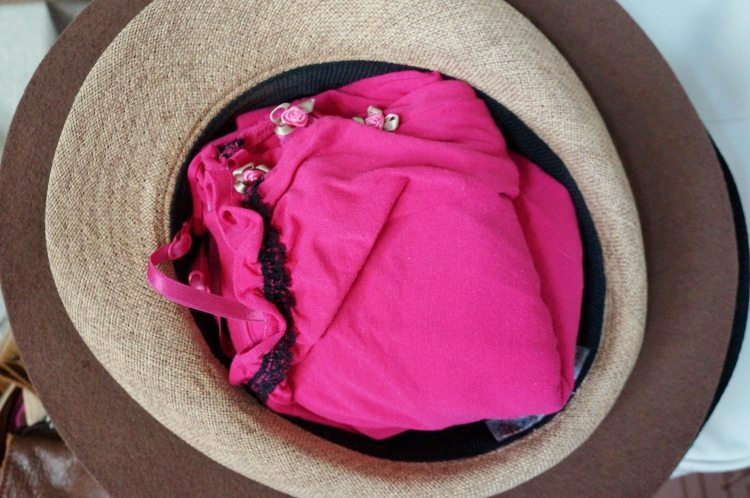 Pack hats in three easy steps: 1) stack them together, 2) stuff them with your PJ’s, and 3) pack around them. Insert stud earrings into the button holes of your shirt buttons to keep them from getting lost. Pack rings and earrings in week long pill boxes for each day. Wrap your jewelry in plastic wrap. String necklaces through straws to avoid tangling. 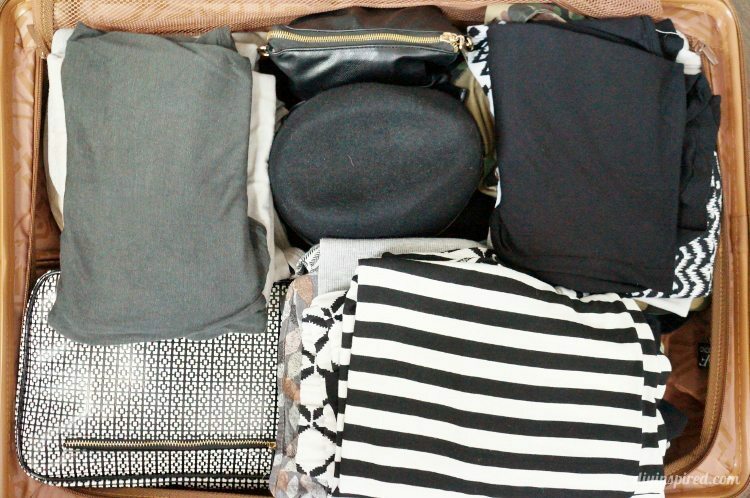 Roll clothes instead of folding them to save room in your suitcase. 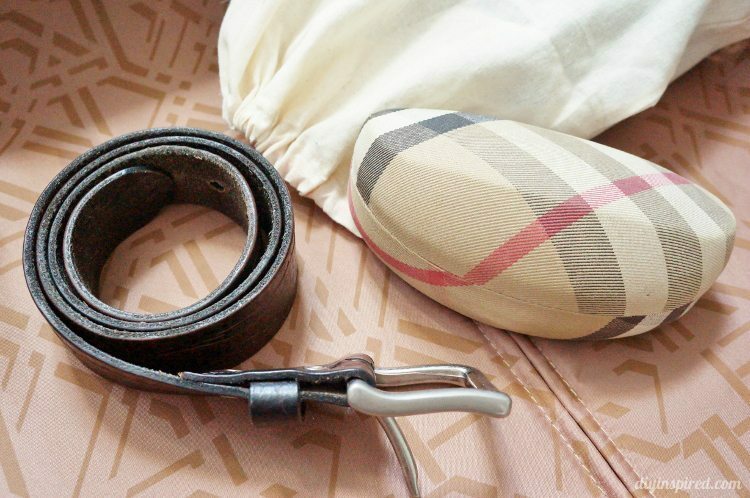 Place a belt inside your collar to keep it stiff. Pack shoes inside a shower cap to protect your belongings from dirty soles. Pack belts and sunglasses in canvas drawstring shoe bags to keep them in place. 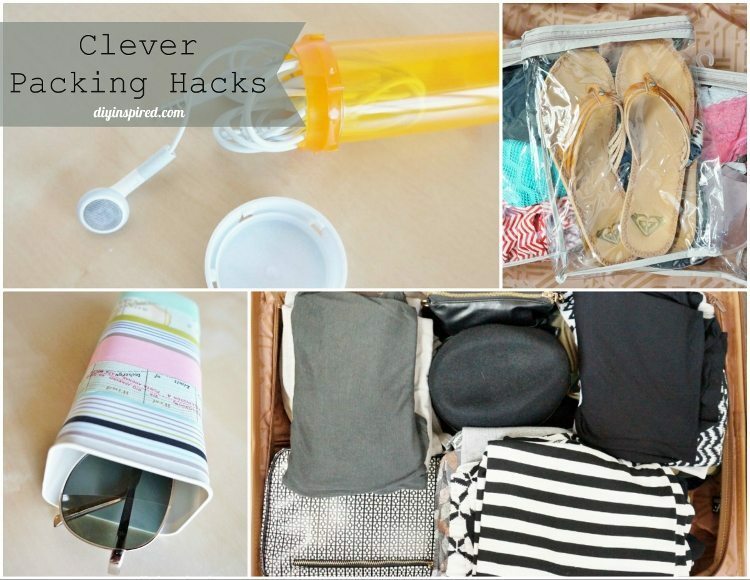 Pack headphones in sun glass cases or prescription bottles. 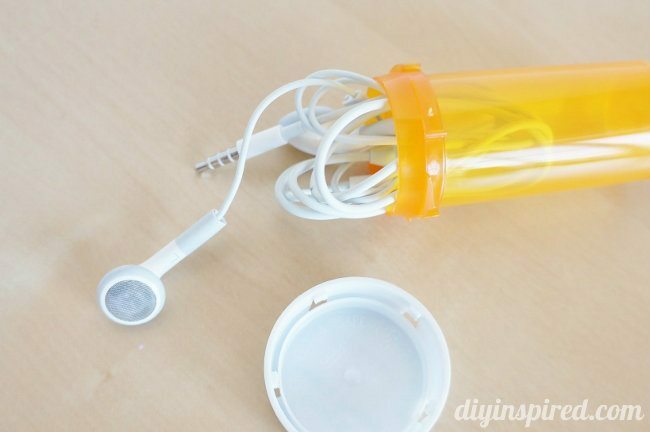 Store phone cables and chargers in a sun glass case. 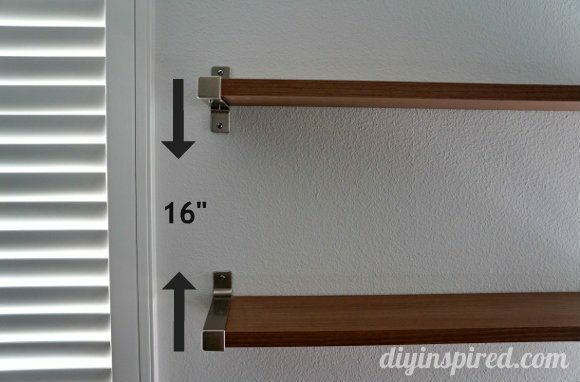 Use a large binder clip to cover a razor. 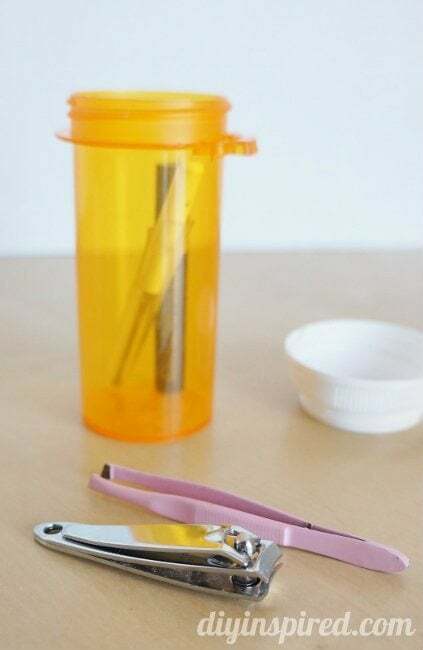 Use contact lens cases to store eye cream or liquid makeup. I will be posting less frequently while I’m gone (I think). But I can’t wait to write about my trip! These are great tips Dinah! 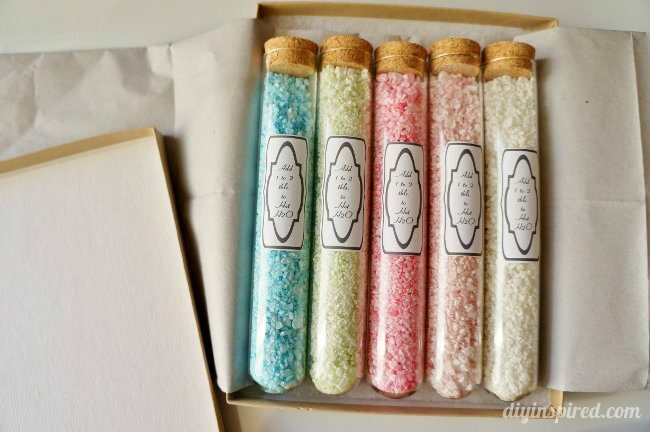 I especially love the one about repurposing prescription bottles! I’ll be using that this Summer! Fantastic hacks. 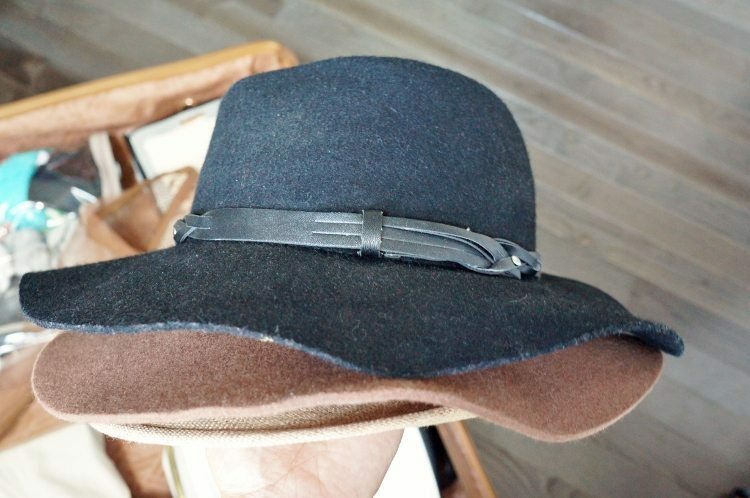 I am so fond of hats. I have 50. I was wondering how to pack them. 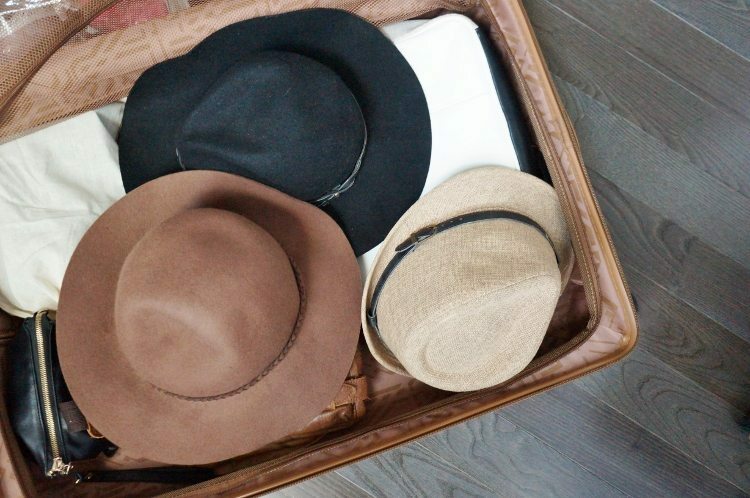 I am going to study in Germany and there is no way to leave without my hats. 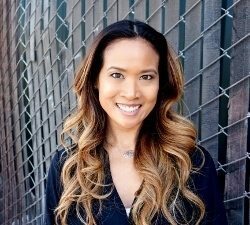 Thank you for great tips! Greetings! So glad you found this helpful, Stacey! Be safe in your travels. I’m sure it will be a wonderful experience!